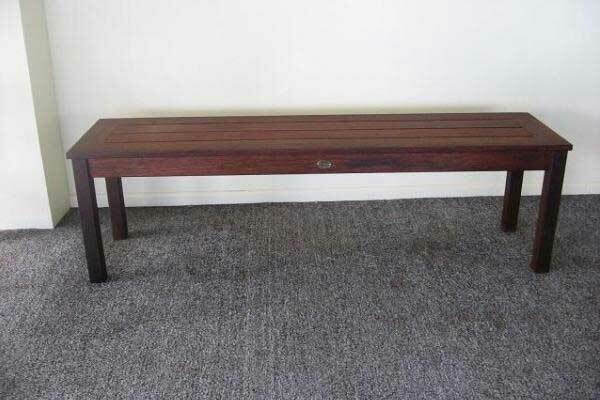 The Bench Seat is also an economical way to seat kids who often prefer sharing a bench rather than trying to manage a heavy dining chair. We can also do custom lengths, prices will be proportionate to the ones above. Also available in other lengths, .9m @ $385, 1.5m @ $485. 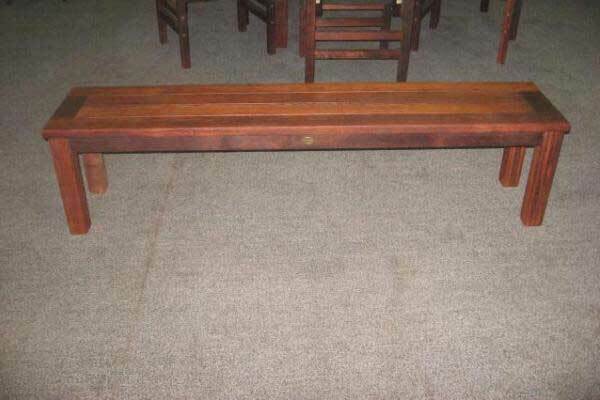 These benches have a 19mm thick top and a 45x 45 leg, so are lighter than our deluxe benches. We can also do custom lengths, prices will be proportionate to those above. 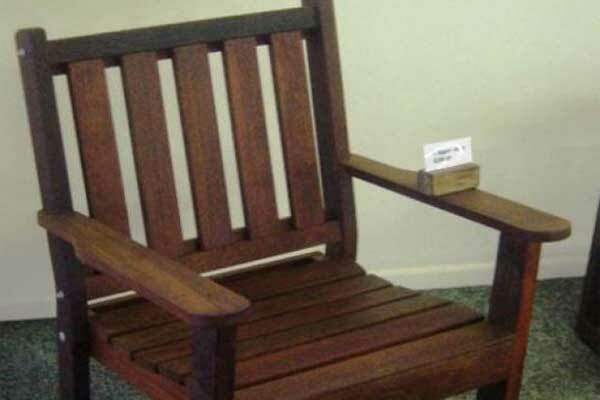 Classic design solid wood ideal for that relaxing afternoon, Has wide arms and formed seating. Comfortable solid wood chair with formed seating and wide arms. 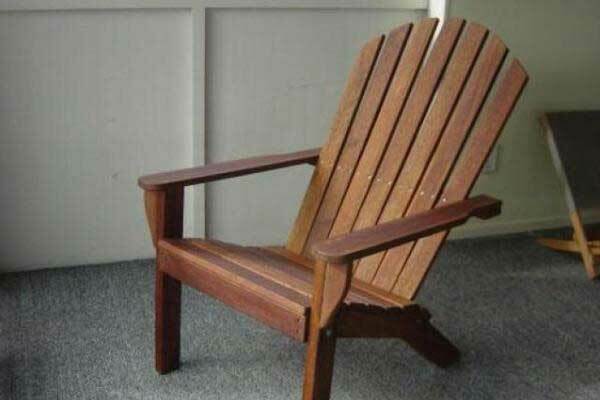 Low and wide - our beer drinking chair! 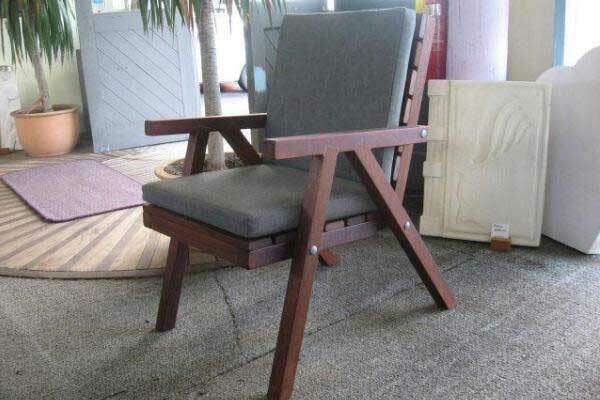 A comfortable dining or relaxing chair. Cushions are available in a wide range of fabrics, and are an additional $195 each. 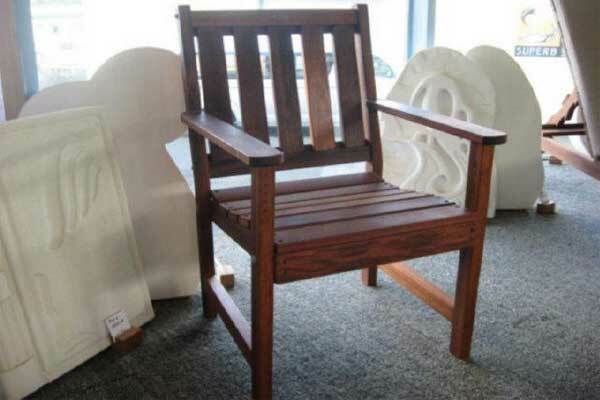 A wooden dining chair with a contoured seat and wide arms. We can supply seat cushions in a wide range of colours at $95 each.